As an entrepreneurial services accounting firm, the entire team at Genesa Corp. is committed to shifting the planet one entrepreneurial leader at a time. We are committed to changing the way service based professionals do business. We invest in our people, and in creating a team culture that encourages everyone to live up to their greatest potential as an individual, but in deep alignment with the success of the team. We are looking for people who are willing to be vulnerable and share their deep skills, knowledge and experiences to achieve even higher levels of growth. We keep up to date on the latest information that relates to tax structures, tax rules and regulations, business development, financial planning and leadership development. 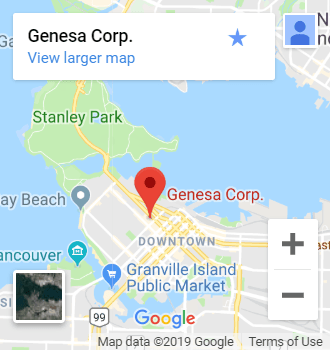 Genesa CPA Corp. is a boutique accounting firm located in downtown Vancouver, British Columbia with a team of financial service providers, tax accountants, and business consultants. Our Vancouver Tax Accountants offer more than just the technical expertise you need – it provides the highest level of financial accounting services while building a genuine relationship as your trusted advisors. We are more than a tax accounting firm in Vancouver. We are partners in developing your greatest assets, and empowering your dreams. Our philosophy is to provide the catalyst and inspiration to support your fierce, courageous dreams, and to work with you to bring them to life. We believe that trust and relationships are built on foundational practices and our core values. Our purpose is found in serving others, offering the highest level of technical expertise. We respect and encourage our team of Vancouver tax accountants and our clients to grow and challenge ourselves to change the world we work and live in.